Aquaman is a visual spectacle with many shot she demonstrating stunning visual effects. This includes a cameo from Topo, a humongous octopus that also happens to be quite a musician. 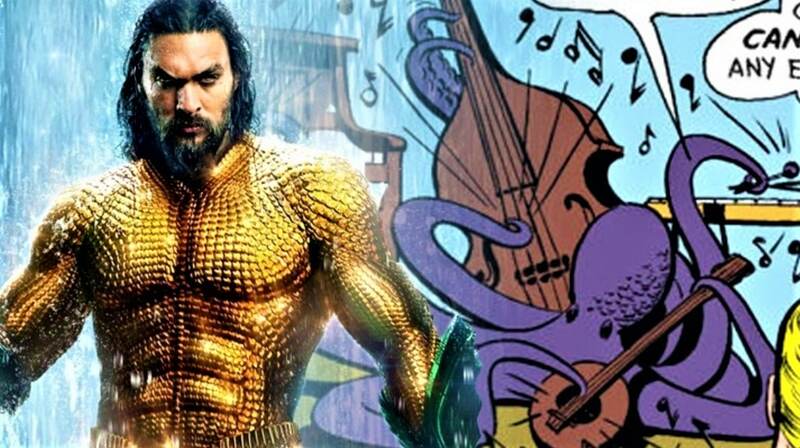 Thought to be the classic Easter Egg nodding to the Aquaman supporting character, Aquaman director James Wan recently revealed that the decision to have Topo wasn’t just an Easter Egg. It was rather a cameo, hinting at the character’s inclusion in future films. Talking to the Huffington Post, Wan stated some of the thoughts that went into having Topo in the film. Topo is one of the longest-serving allies of Arthur Curry, debuting in Adventure Comics #229, and was portrayed as a musician, playing anything from the drums to guitar. Created by Ramona Fradon, the character has had three major iterations in its existence in the DC comics lore. However, recently the “New 52” reboot of the character portrayed him as a half-octopus and half-hybrid that could only be summoned using Curry’s telepathy. The character also appeared in a single episode of the animated Young Justice series. Topo can be seen playing the drums in the film as Arthur and Orm fight each other in the climactic scene of the film.